Venture into the twisting, neon-lit alleyways of Euljiro at night, and you may feel like you’ve wandered into a gritty vision of the future à la Blade Runner, complete with an atmospheric electronic soundtrack. 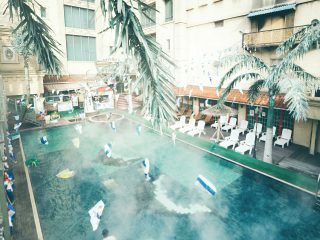 If so, you may not be surprised to discover that tucked into the third floor of an old print factory building is one of Seoul’s most pioneering spaces for independent electronic music. 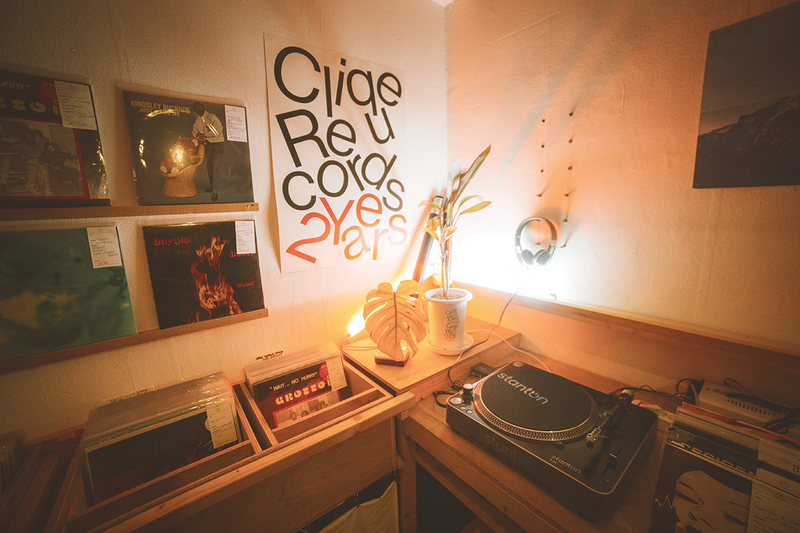 Clique Records is a vinyl record shop selling new and used releases from both home and abroad. 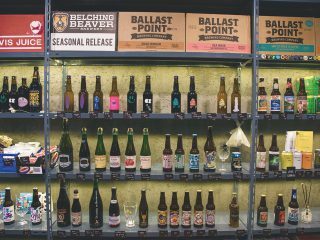 Opened in late 2015, it stocks an eclectic selection of electro, ambient, techno and other genres of electronic and alternative music. The shop is run by a duo of two young DJs and dedicated record collectors: Odd J (Antoine) and DJ 6TS (Curtis). 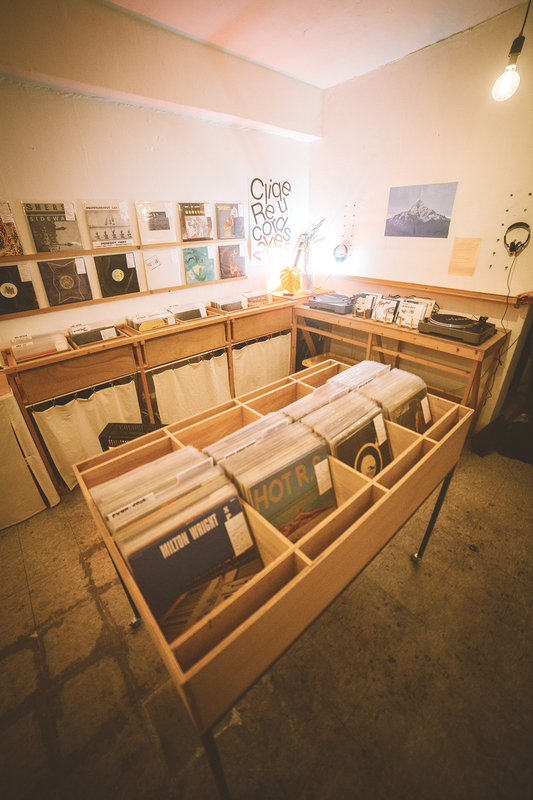 Their motivation to open a brick-and-mortar shop, they say, was “the lack of diversity in the music landscape … it was very difficult to find proper records, and a community started to emerge with this desire to discover more music.” Given that the community was made mostly of underground DJs and musicians, Clique meets their needs by stocking all music purely in vinyl. Vinyl’s resurgence despite the digital age is, of course, old news. The nostalgia-fueled vintage aesthetic that has defined the decade so far is epitomized in vinyl records, which offer not only a feeling of possession but also an aural quality that sharply contrasts with tinny digital streaming. Worldwide vinyl sales reached a 25-year high in 2016 following nine consecutive years of growth. 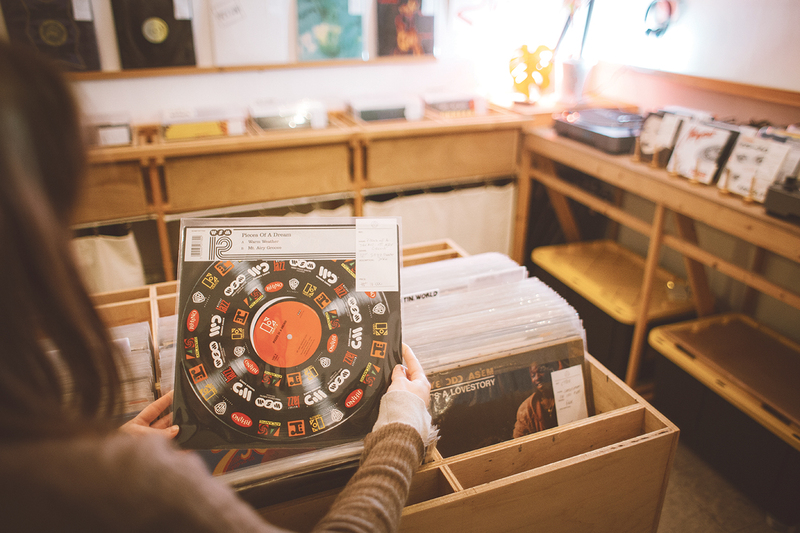 In Seoul, vinyl sales are driven by both music artists and regular consumers. Clique caters to the former. Its carefully curated stock is the main item on the menu; Clique has no aspirations to become an Instagram hot spot. “We’re very tight on selection. We do not want to be selling records for decoration purposes. This is music, it’s made to be listened to,” says Curtis. The dedication has paid off. In two short years Clique has expanded by leaps and bounds, not only in their record stock and planning events, but also by adding a listening space/lounge called the Edge earlier this year right next to the record shop. The Edge offers “weekly listening sessions with some of the city’s finest music lovers,” says Antoine, emphasizing the patrons it attracts more than the space itself. 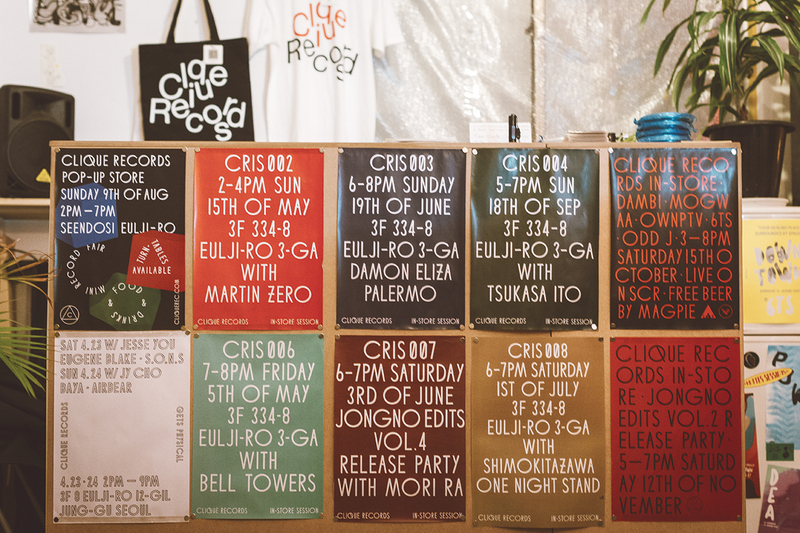 Clique also hosts Clique Record Nights, which has welcomed artists such as Antal, Soichi Terada, Young Marco and DK to Seoul for the first time. But not all of Clique’s sources are from overseas. In fact, Curtis has founded two record labels specifically to press local music for distribution abroad. The first, Braindance Records (its name a reference to the electronic sub-genre of IDM, or Intelligent Dance Music), has already had two releases distributed across Europe, the U.S., and Japan. The second, Daehan Electronics, will “focus on re-issues of Korean alternative electronic and experimental music mostly from the ’80s and ’90s.” Its first release, due in January, will be a re-press of the avant-garde musician Kim Byoung Duk. Clique’s growth is fueled, claim the duo humbly, by their dedicated audience and visitors. The biggest challenge the local scene faced in the past, says Curtis, is that there was “barely any system to the scene.” People with an interest in electronic music had no space or community where they could create output. Now, Clique offers that space, and many of its patrons are regular weekly visitors. To experience what they’ve found, visit Clique Records any time from 2 p.m. to 8 p.m., Tuesday through Sunday, or check out the Edge’s event schedule online.